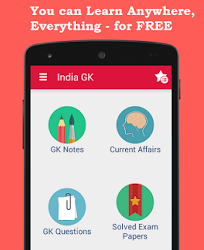 3, 4 February 2016 Current Affairs MCQs, Quiz, Questions: Current Affairs for February 2016, Daily Multiple Choice Questions (MCQs) for India GK, World GK and current affairs with Collection of daily objective type Question by www.Indiagk.net based on General Knowledge (GK) and General Science (GS) Questions for UPSC, State PSC, SSC, Police exam, Railway exam, SBI, Bank PO, IBPC, SSC, LDC, UDC, Army, Airforce, Navy, Coast Guard, Bank Clerk, TET and all entrance examination with current affairs News, Multiple Choice Questions (MCQs) available on Website www.IndiaGK.net and Android Apps with daily updates:. Dr. Balram Jakhar who passed away on 3rd February was associated with which field ? Explanation: President of India, Shri Pranab Mukherjee has condoled the passing away of Dr. Balram Jakhar. Dr. Jakhar was a veteran Parliamentarian, having been Member of Lok Sabha for four terms (1980 to 1999) and Member of the Punjab Legislative Assembly (1972 to 1979). He was also a distinguished administrator who served the nation in various capacities. Dr. Jakhar worked with distinction as Union Minister of Agriculture from 1991 to 1996, Speaker of the Lok Sabha from 1980 to 1989 and Governor of Madhya Pradesh from 2004 to 2009. He was one of the founders of the Bharat Krishak Samaj and as its life President made immense contribution to farmers and agriculture. Union Budget of FY2016-17 will be presented on which date ? Cabinet Committee on Parliamentary Affairs has announced the dates for the budget session. The budget session is slated to begin from Februray 23 with the President's address to the joint session of Parliament. First part of budget session will be held till March 16 while the second part is scheduled from April 25 to May 13. the Rail Budget will be presented on Feb 25 followed by the economic survey which will be presented on 26th February. This will be followed by the presentation of the Union Budget on Feb 29.